In addition to providing hundreds of FREE WordPress tutorials that show you how to build, grow, and manage your own website without coding skills, we also want to keep you up-to-date with some of the latest resources and plugins developed to help WordPress users by third-party developers. The plugin developers provide walkthrough video training and regular plugin updates. The plugin is available with individual or unlimited site licensing and comes with a 30-day money back guarantee. The dashboard lets you set up, run, and manage all of your marketing campaigns. SociTrafficJet is easy to use and requires no technical skills. Training is provided with video tutorials covering everything from setting up to using the tool, including video tours of each dashboard section. In addition to the regular plugin edition, which lets you set up social media campaigns to post on Facebook, Twitter and Instagram, SociTrafficJet offers the option to upgrade to the Elite and Enterprise editions for additional automation and leverage. A great incentive to get people to subscribe to your list is to offer something of value like a guide or report. Creating quality info products, reports, and lead magnets, however, can be time-consuming. While there are various e-book creators in the market, this tool is very simple and easy-to-use. No technical or design skills are required and there is nothing to install or update. Instant Product Lab is hosted in the cloud, so you can access this tool from anywhere. To create a simple e-book, guide, or report, simply access the tool, search for content to use in your digital product by entering a keyword, and choose a template. The tool will then automatically create digital info products that you can download, publish, sell, or give away. For affiliate marketers, the software automatically inserts your affiliate link into the content in multiple places. Integrates with all major email marketing services like Aweber and GetResponse. Using the tool to compile your own articles into reports and other digital products. This also applies for PLR articles, affiliate articles or promotional content supplied by product vendors, etc. 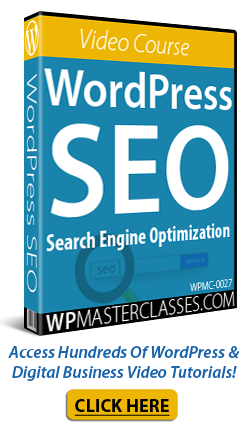 Discover the latest products creating a buzz with WordPress users. In addition to providing hundreds of FREE WordPress tutorials for beginners, we also want to keep you up-to-date with some of the latest tools and add-ons developed for WordPress users. If someone visits your site, decides to download and read your post content later and clicks on the banner, Post Gopher automatically converts your post or page into a downloadable PDF book or report, adds the user details to your autoresponder and emails them a link to download the PDF containing your post or page content. If your website or blog provides lots of high-quality content, this plugin will help you leverage your content creation efforts into growing an engaged list of subscribers, increasing your reach and bringing you more dedicated content readers. With Designrr, you can take any webpage and create a PDF eBook or report in 90 seconds. If you are looking for a “set and forget” tool to leverage Facebook fan pages and groups to drive traffic to your posts or pages, you may want to look at WP Social Traffic. Note: We have not installed this plugin on WPCompendium.org as we already automate our content syndication to Facebook using the processes described in our WordPress Traffic Automation Blueprint, but the developers of this plugin guarantee that this method allows you to leverage traffic from Facebook pages and groups without being spammy or violating any rules.